TOUCH OF CREATION: Seasons Givings Blog Hop 2015!!! Seasons Givings Blog Hop 2015!!! 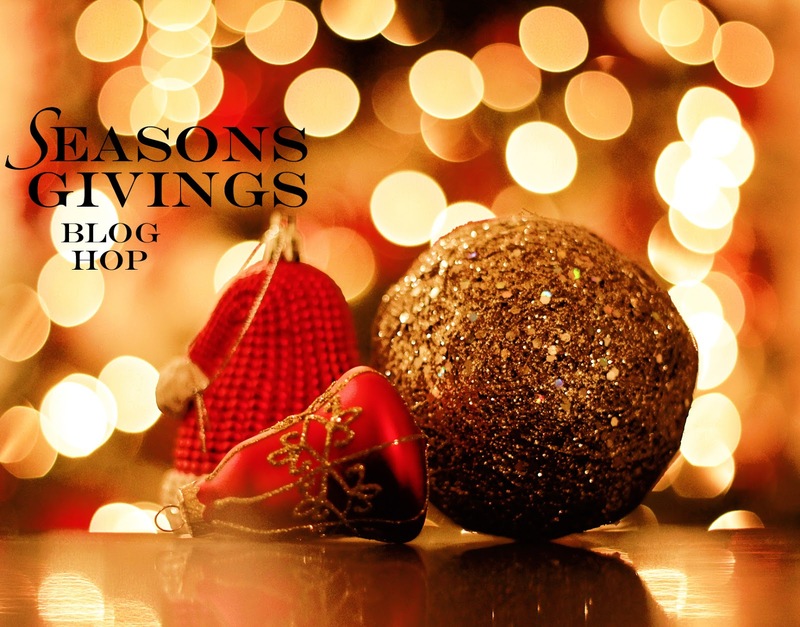 Welcome to Seasons Giving Blog Hop 2015!!! 115 Designers & 18 companies are joining together to host a hop with giveaways . A Package of crafty Goodies...as shown in the photo. $30 Gift Certificate to Art Impressions Stamp store. Just leave me a comment , just let me know about " What are your Crafty Goals for 2015?" I'll pick the winners and post on my blog by Monday , Jan 10th,2015. Yes! You all are the Super COOL!!!! I used Mama Elephant Stamps and Winnie & Walter Stencils for this card. My cradfty goals this year is to complete my projects on time and be more active on the blogger !! Mama Elephant stamps are my favorite!!! :) My goals are to send more cards to my loved ones and actually put photos in my scrapbook layouts. I intend to brush up on my stamping as i want to be a perfect stamper with embossing powders . Such a cute card in super cool colors with fun BG, Love it! My crafty goals are to be more creative, learn and use new techniques always! your cute little penguin makes me smile. happy 2015. Happy New Year and thanks for the generous gifts! My goal is to create more frequently and post the photos. Awww cute card Piali, thanks for the chance to win your giveaways. My goals is to craft MORE and blog more as well! Happy New Year and thanks for the chance to win such a generous prize! Wishing more success to you in 2015!! Love your work a lot1 My crafty goals are to open my in box Cameo, to use my never used Gelli Plate and to be published in print with more than 18 projects (this was last year). Happy New Year! Once again, beautiful work! My goal for 2015 is to craft more for fun rather than just for DT assignments! Happy New Year! Thanks for the chance to win one of you fun prizes! Happy New Year. My goal is to learn to watercolor cards. Thank you for the hop. My goal is just to get started! I received lots of card making Christmas gifts and am eager to learn! what a great card! love the cutey little penguin! my biggest crafty goal for this year is to take some Copic classes and overcome my fear of them! ;) crossing my fingers that it works! Love Mama Elephant! And, I hope to make more cards for special friends this year. Happy New Year to you! my crafty goals are making shabby style layouts and mini albums. My goal for crafting this year is to NOT let my insomnia interfere as badly as it did in 2014!! What a cool card.. love how you did the background. Happy New Year. My main goal is to get projects done on time and not be scrambling at the last minute. And - that should give me the chance to be more detailed with my cards. The penguin is so cute! My goal for 2015 is to do more scrapbooking and find time to craft! Thank you. Such a cute card! Thanks for the chance to win. Keep creating - you continue to inspire! Cute card!! Happy new year!! This year my goal is to use what i have! I have a tone of embellishments and die cuts, scraps etc that i want to use!! Love your cute penguin card! My crafty goal for 2015 is to start scrapbooking (for the moment I only make cards but I'd like to try using photos too). My goal is to slow down and have more fin and less "work". Wishing you a year filled with blessings. Happy 2015! Super cute card! My goal for 2015 is to scrap more....lots more. :) Happy New Year! Super sweet card!! The crafty goals for this year are simple to be more crafty & more important...start trying all those techniques I keep seeing on everyone's blog!! Happy New Year! Love what you do...such an inspiration! I want to learn more techniques in coloring. I LOVE that penguin and the sentiment! Such cuteness! Happy New Year! This year I want to post more on my blog. t9house at gmail dot com. Adorable card. ME's penguin is one of the cutest!! My crafty goals for this year is to be organized and also show my appreciate for all of the talented bloggers by leaving more comments. Thank you for the chance a winning your generous giveaway. Happy New Year!! Happy new year! My crafty goal is to craft more and USE MY STUFF (I tend to buy more than I use -- isn't that what we're supposed to do? LOL) Thanks for the chance to win. What a wonderful idea! Happy New Year! I intend to finally learn to color! sweet card, this year i would like to try more of mixed media. Happy New Year!! My goal is to start scrapbooking. Thanks for being part of this wonderful hop! I received a Silhouette for Christmas, so I am looking forward to learning to us it! Happy new year. I always love your creations. My main goal is to craft more. I am hoping to make more intricate cards with some of my new dies and embossing folders! Happy New Year! My crafty goal is to be more organized so I'm not always rooting through all the boxes and bags looking for the one thing I need to make my card perfect. I'll be watching all of the blogs for new ideas to try and will give them a try. My crafty goal for 2015 is to make more cards for charity. Great prizes. Thanks for a chance to win. Super cute card. Great prizes. Thanks for a chance to win. Heee, I love your fun penguin card! My crafty goals are to practice my colouring with watercolour pencils, and also to have a good tidy up of my stash! I love the stencil work! I will be working on layouts for my calendar gifts. My craft goal is to use up lots of my craft stash! My crafty goal is to be more organized in 2015. Thanks for the chance to win. My goal is to make more cards this year!!! Love the colors and fade on your card! Lovely prize package! My crafting goals entail creating anything my daughter wants me to for her September wedding! Whahoo! Happy New Year! My crafty goal is scrapbook more. Such a cute card! My goal is to create everyday and I hope to do a mixed media canvas this year, thanks for the chance to win! My crafty goal??? Just keep on keepin on!! Happy New Year, Miss Lady and thanks for the chance to win!! I want to make a card for all family birthdays! Crafty goals are to start my Art Journal and write more blog post. My crafty goal is to create lots n lots of card and POST them regularly!!! I want to play with stencils and my copics more this year and craft with my friends. Wishing you a wonderful and creative new year 2015! Happy New Year! Love the card! Adorable card! Thanks for the chance to win those two prizes! That's very generous of you! I hope you have a fantastic 2015. I have lots of crafty goals for the new year, but first on my list is to make a shaker card. I absolutely love the look but have been intimidated to try one...not sure why! Happy New Year! what a cute cute card piali! i hope to learn how to draw in 2015! Happy New year! Aw, what a gorgeous card! Love the colors and the graphic design with the black and white penguin. Very cool! Happy New Year, Piali! My crafting goals for this year are to organize my stamps and to get a stash of cards made so I'm not always doing them last-minute! Thanks for the chance to win your nice prizes! love penguin card my goals are to participate in more challenges and pursue my art adventures more! I Love the Penguin card, it's adorable. I am most interested in perfecting my cardmaking and getting new ideas from wherever I can, tutorials, etc. Love these hops. They are a great opportunity to win sample products to try in new ways. Thanks so much for the opportunity to win. Happy New Year! I am hoping to get back into crafting this year after a 2 year hiatus. Thank you for the inspiration. Happy New Year! Hi Piali. My crafty goals are to make cards a month ahead and to use some of the products that I haven't used in a while. Happy New Year! love your card,,, he is adorable,,,, My goal in crafting is to get a little braver and try new techniques ...awesome prize packs,,I am so keeping my fingers crossed :) tyvm! Oh, I adore your card. My crafty goals are to send/mail more of my cards to family and friends rather than hoard them. I'd also LOVE to start filling my PL albums. Super cute card! I hope to find some much needed craft time this year. Happy New Year! Happy New Year Piali! Adorable card. TFS and for the chance to win. Happy New Year! I plan on learning to use watercolor in my paper crafting this year. To get more pages made this year! Great work! Happy new year! Thanks so much for the chance to win! :) My goal this year is to stamp twice as often as I did this year. My crafty goal is to keep creating even though I have back surgery coming up for severe back pain. I've found that when I stamp and create, it's fun, takes my mind off of the pain for a little while, and helps fight off the depression that comes with constant pain. Sounds kind of depressing, I know, but crafting and posting my creations on my blog helps keep me going during a rough time, so that's a good thing! Happy New Year! I LOVE your work!! Thanks so much for being a part of this blog hop!! Love this blog hop, not just for the fab giveaways but all the new blogs I'm finding along the way. Lots of great inspiration. Thanks for sharing and the chance to win. Great projects. I would like to use watercolors in 2015. Happy Crafty Year!! Great to see you a part of this hop. Your card is quite delightful. Thank you for the opportunity to win such a fabulous prize. Happy New Year! Your card is so cute !!!! You're SUPER cool...what a darling card...love that guy and the colors are wonderful. I'd love to say that my crafting goal is to get organized, but that's not realistic... perhaps I could organize one drawer? Cool card! Thanks for a chance to win and Happy New Year! Happy New Year! Hope you have a wonderful 2015! My Crafty goals are to keep blogging and visit fellow bloggers regularly! Very cute card. I Hope to have more time to get crafty this year and try some New techniques. My goal is to craft more! Happy New Year! Happy 2015! Looking forward to seeing your work in the new year. Thank you for sharing your inspiration. My goal for 2015 is to spend more time crafting. It has been a while since I visited you! I hope all is well. You work is so pretty! I enjoy looking! Cute card- like the soft colors too. Happy New Year Piali, what a gorgeous card I love the design and the colours but most of all the image is great. My goals for this year are to make more cards and organize my craft room. The penguin card is SOOOOO CUTE!!! my 2015 goals is to expand more with media and alcohol inks. Happy New Year!! I am very excited to see you in this blog hop!! ALso, Congratulations on making the Doodlebug Design Team - what a great company to be working with!! They are my absolute favorite - I will be following along to see what you do with their products!!! Great prizes -thanks so much!!! My big goal is to finish organizing my craft space and it's big, just too much carry over stuff that I need to get rid of. but in due time. Such a cute card, love to work with stencils. TFS your prize package and your talents. My crafty goal is to use each product I have at least once. No more buying a set or die because I like it and not using it! What an adorable card! This year I hope to have more time to devote to my art- I am expanding into mixed media and it is sooo much fun. Cute card. Nice prizes. Thanks for chance to win. What a beautiful card. I love Penguins anyway. Thanks for the chance to win such a generous prize package. Beautiful card. I love this stamp set & on my wish list. Great use of the colors. Happy new Year! One of my goals is to master or rather improve my watercoloring skills and to try embossing paste and stencils. My larger goal would be to spend more time in my art room and less time procrastinating! I LOVE your adorable cards and fun colors! My crafty goal is to get my blog in great shape, and get more involved with crafty friends all over the world! AND not be afraid to enter any challenges! cute card! Thanks for the chance to win some fun products! Happy 2015! very cute! always love the cards! Your card is so cute!! My goals this year are to scrapbook more and work on my coloring classes! Thanks for the chance to win! Had to have a peek at your blog and love what I saw! You now have a new subscriber! lol Great work! Love your card and great package. Thanks for sharing. My crafty goals will span the year. My daughter is getting married.. so all things bridal shower and wedding plus, we will become grandparents for the first time, so all things baby shower related... I am not thinking there will be room for Halloween this year, but I will have to make room for Christmas.. and i want to do so many things there too... I will have the market cornered on celebrations this year! And all celebrations require crafting!!! My crafty goal is to stay organized as I do my paper crafting. Your work is beautiful! Always love seeing your work. You never disappoint! My crafty 2015 goal is to really get to know my silhouette machine better as well as use up some of my stash! Love how you made that stencil background look - super cute card! Such a fun blog hop! Your cards are fabulous! I'm determined to try to sell my cards in 2015! Happy New Year! Such a cute card! I hope to do more layouts! Super cute card! I love visiting your blog, full of inspiration! Crafty goals..start a blog of my own! Wish me luck! Oh My, that penguin is too cute! Love it! My crafty goal this year is to spend more time crafting than I do shopping for craft stuff :) Thanks for sharing your goodies with us! I want to improve my copic coloring. Great prize pkg, thank you! Aww, your card is so cute, Piali! 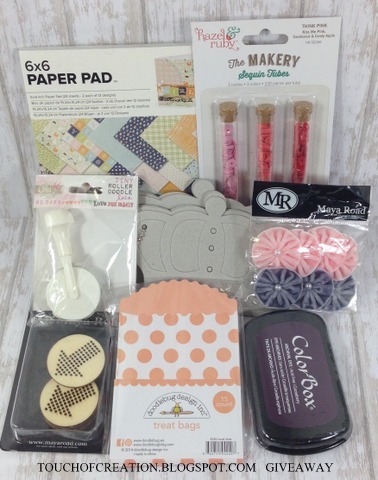 Happy New Year and thanks for the chance to win this gorgeous giveaway! One of my crafty goals in 2015 is to create more CAS cards. I have never heard of Mama Elephant stamps, but they look really nice. There are so many different brand of stamps. I checked out your blog and you are a very talented card maker. Love your Christmas cards. Thanks for being a part of this hop! Happy Crafting in 2015. I want to try mixed-media this year! I love the little cool penguin!!! My crafty goals for 2015 are to get more familiar with more techniques. Have more confidence with my work and have fun with new materials! Love your card! My goals for 2015 are to use my Copics. I tend to dance around them right now. They intimidate me. MORE time creative time in 2015. I think we underestimate how beneficial this is. I sure love that little penguin set! And your card is delightful! I am always happy to see your work pop up all over blogland! Thank you for a chance to win a prize! My crafty goals for 2015 are to enter some challenges and to learn about watercoloring techniques! Happy New Year! My main crafting goal is to find enough time to craft - but of course that's impossible. I'm hoping to try new stenciling techniques this year, starting with spritz inks. Here's hoping we all have a crafty 2015! Adorable penguin card. Thanks for sharing. I love your card! Thank you for a chance to win :) Happy New Year! My crafty goal for 2015 is to be more organized and keep a clean craft space. Happy New Year! My crafty goals for 2015 is to get caught up on the scrapbooks and create a stash of cards that I can use when something pops up that I need an immediate card for. Love the little penguin, so cute. My goal for 2015 is to spend more time crafting, and less time looking for stuff in my messy craft space. Thanks so much for sharing. I subscribed to your blog, so I'll be back. I love penguins, your card is just adorable!! Happy 2015 and thank you for the cool prizes. I have to say my eyes were just glued to the sequin fibers! Have not seen that stuff for sale - how could I miss such a wonderful product? need to go looking for it! Lovely card Piali! Happy New Year!!! Love your work. My 2015 goal is to help my daughter get caught up in her PL..
cute penguin card! my crafty goal for 2015? to finish what I start! What a cutie! Love those colours. My crafty goal is to actually use some of those products I bought for mixed media which haven't seen the outside of my cupboard. Thank you for the chance to win. Happy New Year! Thanks for sharing the wonderful card with us and also great giveaway! I can't wait to see what you have in store for 2015! Your card is adorable! I love the colors. My crafty goal for 2015 is to get my craft room pared down and organized and finish all the projects that I have laying around 1/2 done. Happy New Year and may it be even better than last year. The card is so cute, love the colors, the Pentium. I plan on stepping up my card making and blog. TFS. Love love love your card...it's so cute! Hmmm...my crafty goal....well...just enjoying every minute of it! 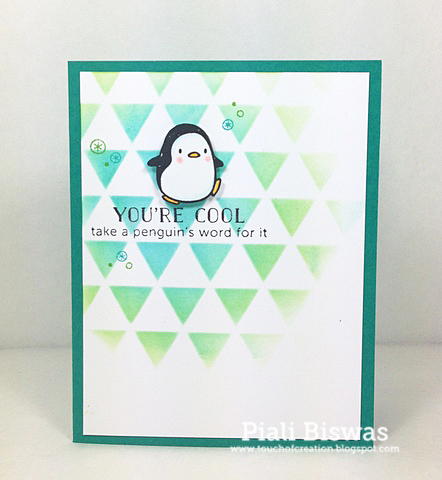 Gorgeous card Piali. CAS is not easy for me, so I envy your sytle. HAPPY New Year! To organize my crafts and thanks for the chance to win. Ah, this card is so darling. My crafty goals are to restart my blog and get inspired with a few challenges. I also need to restart my scrapbooking and catch up. I am also scheduling monthly card making at my local senior center. Why not share the fun of making cards. I do this at no cost to the seniors or the center. Happy New Year! I really like your card. my crafting goal number one is to get organized! I really love your card, it's so very cute! Crafty goal is to use my stencils more. Love your cards! So glad I found your blog!! My crafty 2015 is to make more cards for my family❤️ Thx u so much for the giveway! Love your delightful penguin card! My goal for this year... is to retire! It will give me lots more time to play with my stamps and dies! Happy 2015. Best to you. Your card is darling and I love that background. My goal this year is to make out of the box cards. New folds and shapes and to get better with Copics. My major goal is to clean up my craft space so I can actually craft instead of search for supplies! Your penguin card is so cute. Thanks for the chance to win this great prize. My goal is to finish cards that I have started and to organize my craft room. Many thanks for your generosity and inspiration. My crafty goals are: get blog running, allow myself dedicated card making time and to be on a design team by the end of the year. Happy New Year!! Way cute card! My crafty goals this year is to learn some new technics and to craft more often. Happy New Year! My crafty goal is to scrapbook and craft more. My daughter is starting to craft with me so I am loving the new bonding time. Thought of starting a blog once we get on a roll but that is all new to me. Thanks for a chance to win some amazing products. Sugar Pea Designs 1st Birthday Bash Blog Hop!!! Top Dog Dies New Release!! !